An alliance between Ford and Volkswagen will deliver affordable vans and pick-ups with lower running costs and class leading tech, it’s been claimed. The two automotive giants are teaming up to develop a new range of pick-ups and vans from 2022, with the emphasis to “better serve customers in an era of rapid change in the industry.” Volkswagen CEO Dr. Herbert Diess and Ford CEO Jim Hackett confirmed the alliance at the Detroit Auto show in the USA today. 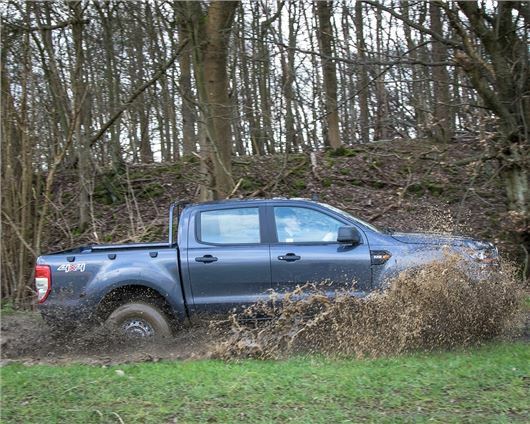 Through the partnership, Ford will build medium-sized one-tonne pick-ups for both companies with the first vehicle going on sale in mid-2022. Ford will also build large vans for Volkswagen, while the German firm will develop a new range of electric city vans. Both Ford and Volkswagen will remain completely independent, but share development and production costs to provide more affordable commercial vehicles. The two will also co-develop electric powertrains and autonomous technology. “Over time, this alliance will help both companies create value and meet the needs of our customers and society,” said Ford CEO, Jim Hackett. Ford and Volkswagen have worked together in the past, developing the Galaxy and Sharan range of family cars, but this marks a first for the two when it comes to commercial vehicles. Over 357,000 new vans and pick-ups were registered in 2018, with the Ford Transit Custom and Transit being the top two with a respective 54,806 and 32,694 sales. The Volkswagen Transporter was third, with 21,763 vans registered in the UK.